[Expired] Unlimited/Exclusive]Giveaway of Wise Video Converter Pro. Discussion in 'Giveaways and Contests' started by sid_16, Aug 26, 2018. I would like to thank Mr Vivian from WiseCleaner for arranging this Wise Video Converter Pro giveaway for our members and guests. 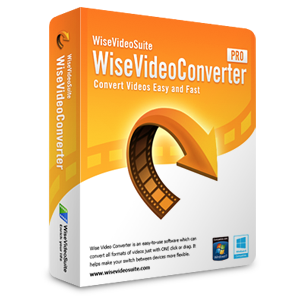 What's the Features of Wise Video Converter? Wise Video Converter supports converting many video formats, e.g, 3GP, AVI, AVM, AVS, DAT, F4V, FLV, MKV, MOV, MP4, Mpeg, MPG, NSV, OGM, RM, RMVB, TP, TS, VOB, webm, WMV, and so on. Wise Video Converter not only convert video to video, but also can convert any format video to MP3. Wrap the tool in your pocket and use it anywhere. Thank you for sharing the software and good luck to all. Thanks for nice giveway sid_16 ! But I'm so stupid or sleepy or blind at all, but I can't find out, how to get it. If to download from given site, you'll get only unregitered free version. Can someone tell me, where is this content, what I cannot find. This giveaway version has no using time limitation, but can't support upgrading. It clearly written in the 'CODE TAG' in the OP.